Looking for a mortgage loan? We'll be glad to answer your questions about our mortgage offerings! Give us a call today at (630) 534-5500. Want to get started? Apply Now. What's more fun than getting a bunch of new furniture to go in your future home? Not much. But making big ticket purchases before your loan closes could be trouble. There still remain a few major hurdles to jump before closing. We have listed some actions below we suggest you stay away from when waiting for closing. Don't throw your money around. You may be itching to turn your new kitchen into a home magazine cover, or celebrate your new castle, but stay away from expensive purchases like furniture, jewelry, appliances, or vacations until the loan closes. Using plastic to buy new living room furniture could jeopardize your loan process by changing your numbers dramatically. It's even a red flag to make those big-ticket purchases with cash. Lending Institutions are examining your cash reserve when considering your loan. Don't look for a new job. Your recent job history should show consistency. Changing jobs may not jeopardize your ability to qualify for a loan - particularly if you are improving your salary. But for some, changing jobs during the mortgage approval process could bring concern and hinder your approval. Don't take your accounts to a new bank or move around your money. As your lending institution considers your loan application, you will probably be required to provide bank statements for the last few months for your checking and savings accounts, money market accounts and other liquid finances. In order to detect fraud, lenders require a consistent portrayal of how you earn your living and where additional money comes from. Even for innocent reasons, transferring finances or switching banks could make it more difficult for your lending institution to verify your account history. Don't give your FSBO (for sale by owner) seller a "good faith" deposit, cash in hand. As a rule, your good faith deposit belongs to you, not the seller until closing. 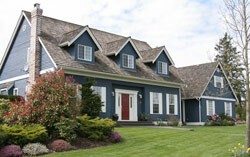 Although some FSBO sellers might not understand this, the earnest money should go toward the buyer's closing expenses. We recommend that you put the funds into a trust account, or get an attorney to hold them until closing. Should your home purchase fail, the purchase contract should document where this earnest money should go. At Community Mortgage Corp., we answer questions about this process every day. Call us: (630) 534-5500.